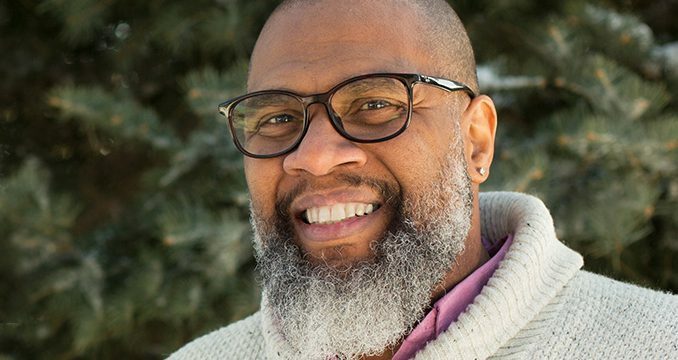 The Office of Spiritual Formation presents another special Alumni Worship event featuring Kelvin Walker (’88 NC, ’11 ATS) & Friends on Monday, March 25 at 10:00 AM and 7:00 PM in Olson Auditorium of Pardington Hall on the Nyack College Rockland County campus at 45 South Boulevard. 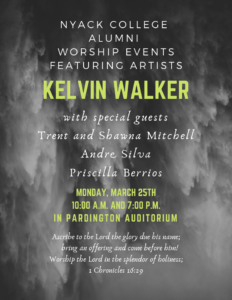 Joining him on stage will be Trent (’13 NC) and Shawna (’12 NC) Mitchell, Andre Silva (’12 NC) and Priscilla Berrios (’10 NC, ’15 AGSC). Come join the Nyack community and be uplifted by a time of high praise and worship!